Design a Book Cover or a Writer Logo. 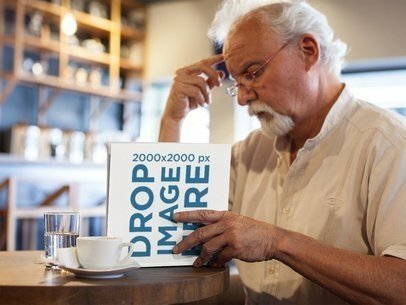 Start promoting your book with this awesome mockup of an elder man reading a square book while sitting down drinking a coffee, he has a white goatee and reading glasses. All you have to do is drag and drop your image file on the interface, we will merge it for you in just seconds! Start now and make your audience buy your products immediately! Try another Book Mockup here! 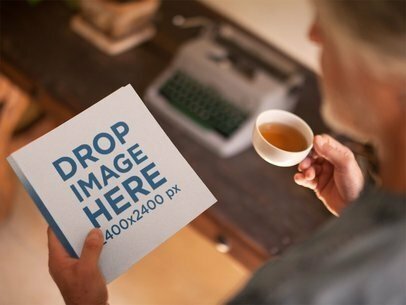 Check out this awesome mockup of an elder man holding a square book while drinking a tea, it's an excellent option to display your latest book! 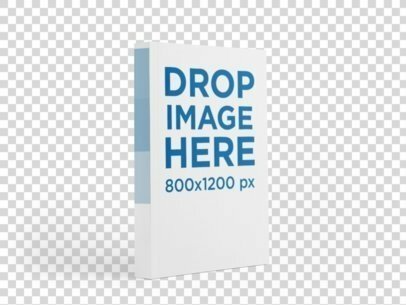 Just drag-and-drop your book cover image file on the interface, we will merge it for you in just seconds. Start making your sales increase with Placeit! Try another Book Mockup here! Check out this beautifully made through-the-window mockup of an elder man reading a book while inside a bookstore. Start by dragging and dropping your image file on the interface, we'll merge it for you in just seconds. Use Placeit's visual assets to make your business grow! Try another Book Mockup here! Placeit has a lot of different templates for you to promote your latest book in a creative and beautiful way. 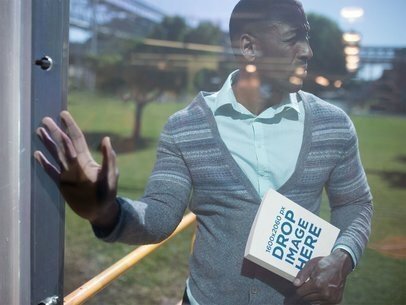 Start now showcasing your book with this mockup of a black guy reading a book on his wooden desk, it's a great option! All you need to do is drag-and-drop your image file on the interface, we will process it for you in just seconds. Try another Book Mockup here! Start promoting your book right now with Placeit's beautiful visual assets. 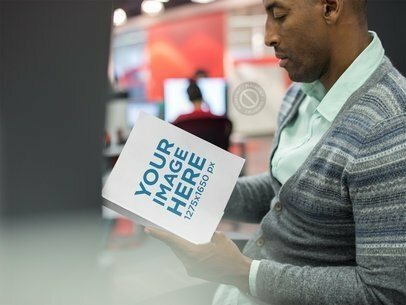 This template features a black man reading a square book while on his desk, it's a great choice if you are looking to promote your awesome latest book in a creative and professional way. Start now by dragging and dropping your image file over the interface, we will process it in just seconds. Try another Book Mockup here! Promote your latest book with this awesome mockup by Placeit! It features a man reading a book while in the work zone, it's a great option to display a photorealistic image. Start now by dragging and dropping your image file on the interface, we will process it for you in just seconds. Amazing, right? Try another Book Mockup here! 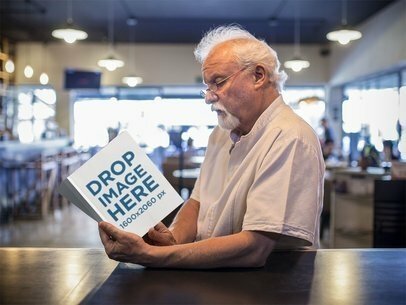 Check out this awesome mockup featuring an elder man reading a book while waiting for his coffee sitting on the table, it's a great choice if you are looking to promote your latest book. Start now! You just need to drag-and-drop your image file on the interface, we'll process it for you in just seconds. Placeit has a lot of different templates for you to showcase your designs, logos or books and start making more sales! Try another Book Mockup here! Looking to promote a book related to a healthy life? Or maybe related to cooking? 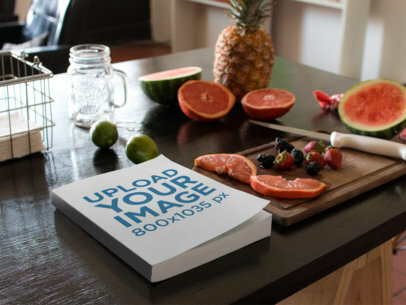 This mockup was specially done for you, it features a book lying on a kitchen table, next to some cut fruits and a knife. All you need to do is drag-and-drop your book cover image file on the interface, it'll be processed in only seconds. Start making your revenue grow! Try another Book Mockup here! Just published a new book? 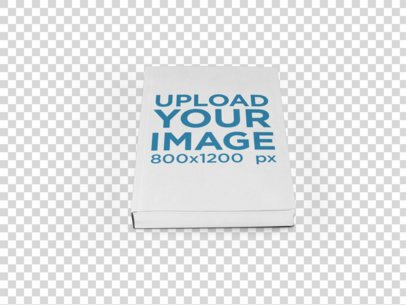 Use a cover mockup template to promote it online and reach new customers. 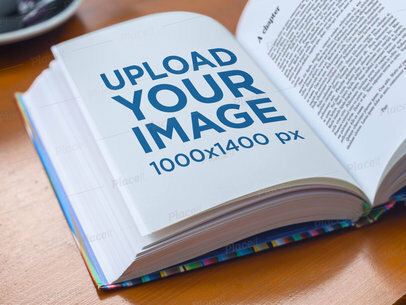 All you need to do is upload your cover art to this ebook mockup and and Placeit will deliver a compelling visual asset to share on social media or your website. To see another Book Mockup click here! Start promoting your book with this beautiful visual asset from Placeit! It features an older man reading a book while lying on a wooden coffee table. Use it now by dragging and dropping your image file on the interface, we will process it for you in just seconds. Start now making your book sell more with Placeit! Try another Book Mockup here! 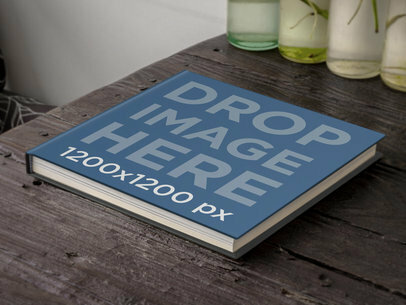 Start showcasing your awesome book design, cover or image with this beautiful mockup from Placeit! All you have to do is drag-and-drop your image file on the interface, it'll be processed in just seconds. Start now and make your income grow! Display photorealistic visuals and make your audience love you. Try another Book Mockup here! Check out this awesome over shoulder template of a senior man taking notes from his lectures on a wooden table while sitting down, it's a great option for you to showcase your logo, design or book content! Start now by dragging and dropping your image file on the interface, it'll be processed in just seconds. Placeit has a lot of different kinds of mockups for you to promote your book the right way. Try another Book Mockup here! 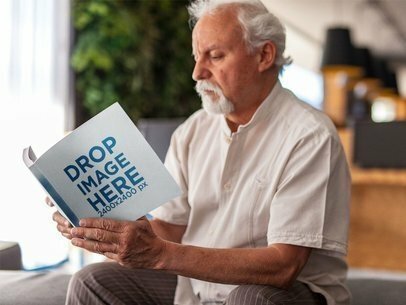 Start promoting your awesome book with this mockup of an elder man reading a book while at the work section in a hotel, it's a great template for you to showcase your latest book! Start now by dragging and dropping your image file on the interface, it'll be merged in just seconds. Use Placeit and you'll see how beautiful and professional images enhance your customers' response. Try another Book Mockup here! Start promoting your awesome designs using Placeit's visual assets, all you need to do is drag-and-drop your book cover image file on the interface, we will process it for you in just seconds. 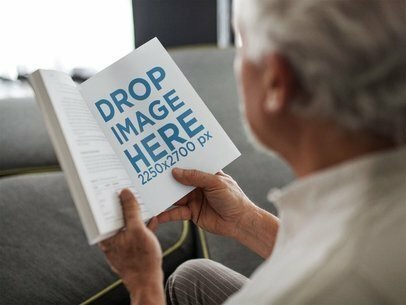 Start now increasing your book sales with this gorgeous template, it features a senior guy reading a book while standing in a hotel lobby. Try another Book Mockup here! Make your new book cover artwork stand out incredibly with this awesome book mockup held by a young black man, place your image over the mockup template and our generator will have your print mockup ready in no time. Try it for free now and see why Placeit is the best mockup tool to use in all your ebook marketing campaigns! To see another Book Mockup click here! 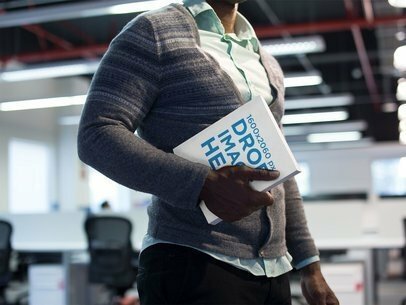 Showcase your latest design or book content with this awesome mockup of an opened book by a man who is holding it. 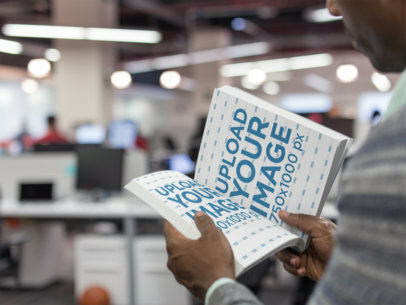 Start displaying your latest design or content with this book, all you have to do is drag-and-drop an image file on the interface, we will process it for you in just seconds! Start now and make your income grow. Try another Book Mockup here! 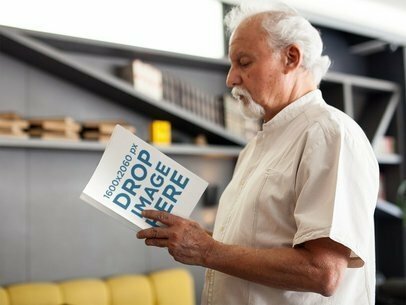 Use this great mockup of a middle-aged man about to walk through a window-door while holding a book in his left hand and make more sales! 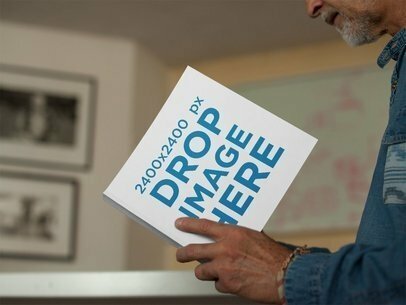 He's looking away from the door while holding the book, this is a great option if you were looking for beautiful visual assets that will make your income grow. 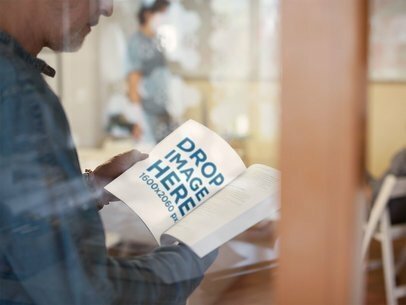 Start now, you just have to drag-and-drop a book cover image file over the interface, we will process it in seconds only! Try another Book Mockup here! Wondering where to self-publish? We have a guide for that. 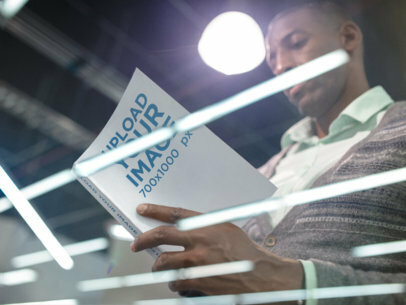 Take a look at this mockup of a business man reading a book while he's standing under a bright light, he was walking in the office and found himself a time to take a read to this book. Make it your book! All you have to do is drag n' drop a book cover image file on the interface, it'll be processed in just seconds. Start now and make your income grow with Placeit. Try another Book Mockup here! Let's see what your new book cover artwork looks like in this amazing print mockup of a book floating in angled position over a transparent background. You only have to drag and drop your image over the mockup template and your download will be created instantly. Placeit's easy to use mockup generator can save you hours of design and reduce your budget in no time! Use ebook covers and never regret the switch. To see another Book Mockup click here! Use this awesome book mockup featuring a girl sitting down while a ray of light enters in the room. 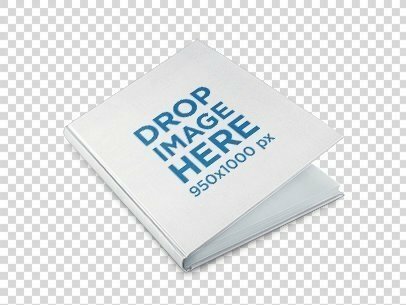 All you have to do is drag-and-drop your book cover image file on the interface, we will process it for you in just seconds. That's right, nothing else to do for you, sit back and enjoy having your book cover on this beautiful template. Try another Book Mockup here! This through-the-mirror mockup of a beautiful girl sleeping in a bed with a book besides her is a gorgeous choice that will make your designs stand out immediately! All you have to do is drag n' drop your book cover image on the interface, we will process it in just seconds. Start now and make more money with Placeit! Try another Book Mockup here! 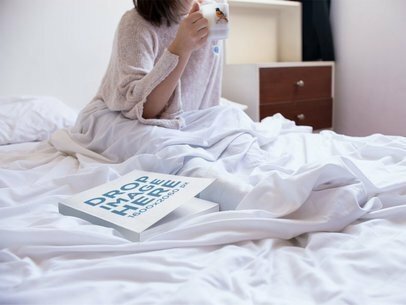 This mockup of a book lying on a woman's bed while she's drinking a coffee near it is an awesome choice if you were looking for a smart and creative way to showcase your latest book! 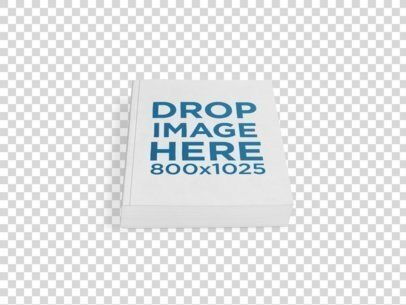 All you need to do is drag-and-drop your book cover image on the interface, it will be automatically merged with this great mockup in just seconds. That's right, make an engagement with your customers through Placeit's beautiful templates now! Try another Book Mockup here! Customize this ebook mockup in an angled position over a flat background right away by simply uploading your cover illustrations onto the template and get original visual content that will definitely help you to catch your consumers' attention within minutes! To see another E-Book Mockup click here! Don't forget to check out this incredible Ebook Templates Guide! You are going to love how your professional book cover looks in this hardcover book mockup over a transparent background, see for yourself! Try it out by dropping your image over the photo template, you can customize your own mockup in just seconds! Cool right? Your new favorite marketing tool is here and it’s called Placeit. To see another Book Mockup click here! Your target audience for this mockup could be anyone to do with books or botany. 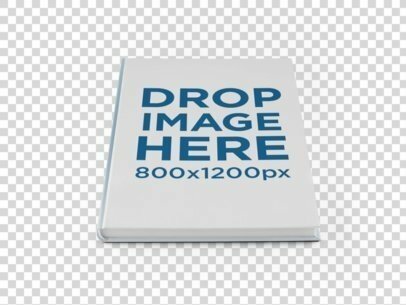 The large 1200 x 1200 px stage is situated on a hardback book. The book lays at a left angle on top of a weathered, brown stained wood table. Lined up along the back of the table are several jars holding spouting herbs. There is a white wall with a very subtle, long leafed, plant shadow to the left. Beneath which sits a chair with a brown and white patterned fabric folded over it. 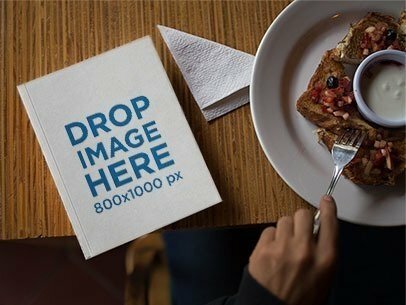 Make your book cover art stand out incredibly with this unique print mockup of a book on top of a wooden table while a girl eats breakfast, cool shot right? 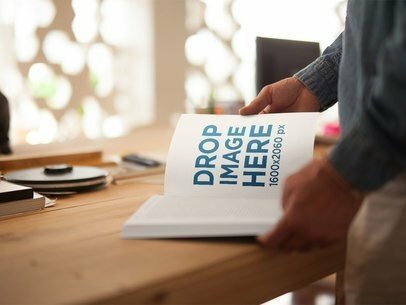 Create more book mockups with this amazing mockup tool in just seconds and impress all of your clients! Drag and drop your image now to start creating your own mockups. See more eBook Cover Templates here! See this amazing Ebook Templates Guide! Look at this impressive book cover mockup just waiting to be customized with your own designs! 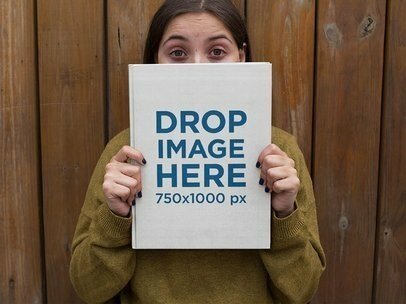 This mockup features a young woman holding a book in front of her while opening her eyes widely, cool right? Get your image over the mockup template and drop it in to personalize the mockup in no time. Create compelling visual assets thanks to our easy to use mockup template. See more ebook cover templates here! Check out this incredible Guide On Ebook Templates! 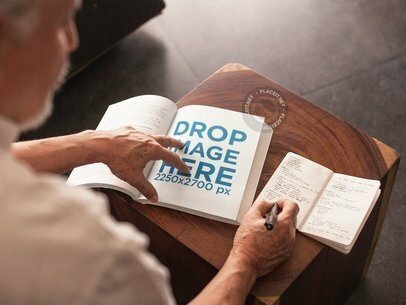 Showcase your new book cover artwork with this incredible photo book mockup, you’re going to love the final result! 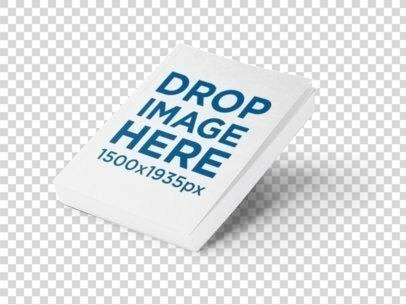 Simply drag and drop your image over this mockup template and Placeit will have your final mockup ready in just seconds, cool right? You can use this eBook cover template featuring a thick paperback book for multiple designs and they’ll fit perfectly, try it out now! To see another Book Mockup click here! Whether you just published your first novel and want to sell it online or you are offering a free e-book on your website, this ebook mockup template is the perfect visual asset to promote it with. Take a close look at this simple, yet sleek mockup. It features an ebook standing over a white background. Display your ebook covers with our mockup templates in seconds! To see another E-Book Mockup click here! 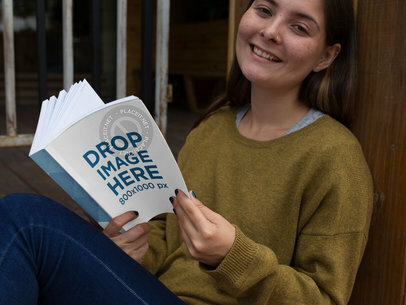 What do you think about this awesome print mockup featuring a smiling young woman sitting reading her paperback book? You can place your artwork onto the template and our mockup generator will create nan instant download for your latest work, display all of your covers on amazing ebook covers curated perfectly to connect with your consumers! See more ebook cover templates here! Read this great Ebook Mockups Guide! Book mock-ups might be just what you need to help you advertise your business latest products or ideas, so waste no more time and check it out! This book mockup features a book lying open on top of a wooden table. Use this beautiful stock photo to make a lasting impression on your specific target market and finally get your business the attention it deserves. 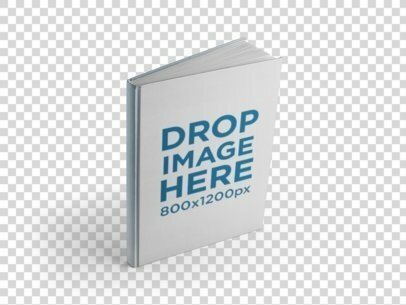 To use this book mockup all you have to do is drag and drop an image onto the template and Placeit will do the rest for you. 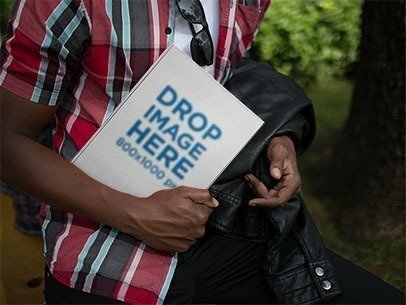 This ebook mockup featuring a book leaning against a black leather backpack in a garden might be just what your current visual marketing strategy in order to stand out and appeal to your potential consumers. So what are you waiting for? Don't waste time with ebook cover design software, simply customize this book cover template today and start achieving success in no time! To see another E-Book Mockup click here! Take a look at this print mockup of a book standing in an angled position over a transparent background. 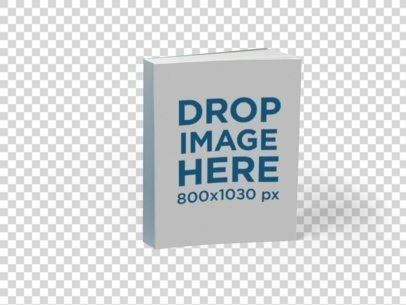 This mockup template is just the visual asset you need to mock up a book cover you have been working on, plus it only takes a few seconds. Try it out by dragging and dropping your image over the eBook cover template, our mockup tool will have the rest finished in no time! To see another Book Mockup click here! Check out this cool e-book mockup! It's just what you need to display your artwork without even having to print first! Our ebook cover generator makes it easier to promote your products by saving time and money through compelling visual assets! Try this mockup featuring an ebook floating over a white background, it's super easy! Simply drag and drop your image over the template and the final visual will be ready in seconds. To see another E-book Mockup click here! 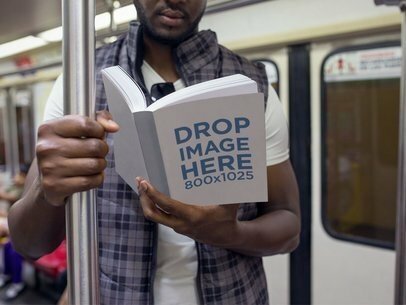 Showcase your new book cover artwork on this amazing print mockup featuring a young black man reading his paperback book on the subway, he is really enjoying the read! 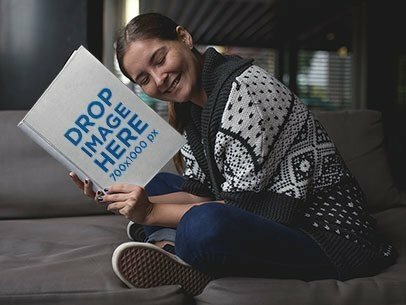 Customize this mockup by simply dragging and dropping your image over the template, you'll have your final asset ready in just seconds. To see another Book Mockup click here! Create your own print mockup now with our amazing mockup generator built to ease your budget and bring you the best in photorealistic mockups! This book mockup is perfect for you to display your latest artwork in a realistic scenario without having to go through the trouble of design and production. 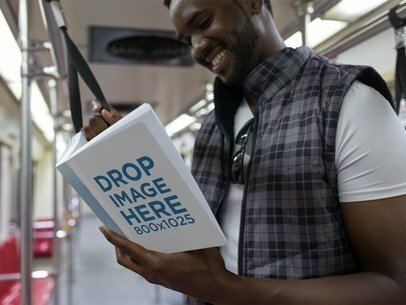 This ebook mockup features a paperback book held by a guy who is reading while he commutes! To see another Book Mockup click here! 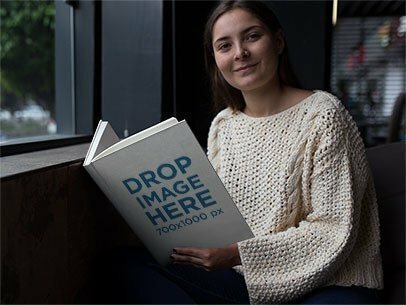 Use this incredible print photo mockup of a young woman sitting with a big hardcover book to showcase your latest book cover artwork. Impress your audience with awesome graphics and be the center of attention, all you need to do is drag and drop your image over the placeholder and our mockup tool will do the rest. Start customizing print mockup to boost your titles today! To see another Book Mockup click here! 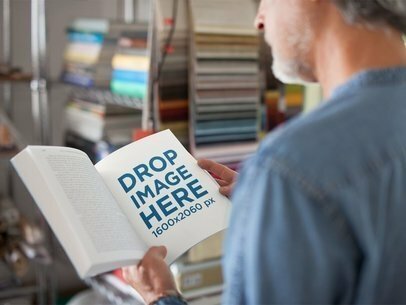 Customize this incredible photo mockup of a paperback book over a PNG background with our mockup generator! Placeit has hundreds of book templates you can personalize by simply dragging and dropping your image over the placeholder, the download will be ready in no time. This is a very useful marketing tool to have by in all your ad campaigns, try it out now! To see another Book Mockup click here! Give this book mock-up a try and see how great your artwork can be showcased. 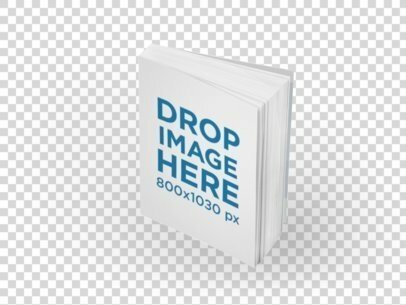 Just drag and drop your image over this mockup template of a book lying on a surface slightly opened over a transparent background, you'll have your print mockup ready in no time. Try out different photorealistic mockups to build your branding campaign and make an impression on your clients! To see another Book Mockup click here! Are your ready to see your book cover design in real life? You can see for yourself with this photorealistic mockup of a thick paperback book over a surface, it’s going to look awesome! 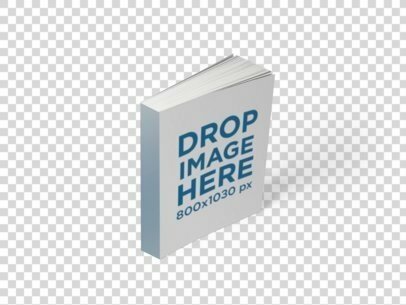 Try it out by dragging and dropping your image over the mockup template, a download will be ready instantly thanks to our 3D book cover generator. You can see more high-quality print mockups if you keep browsing! To see another Book Mockup click here! 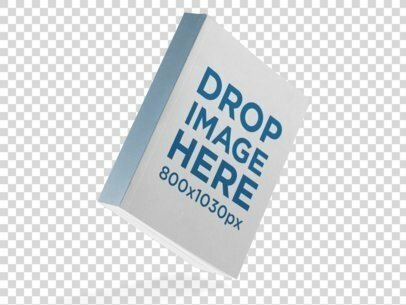 Try out this PNG print mockup of a paperback book lying over a surface, your artwork for a book cover will look amazing! 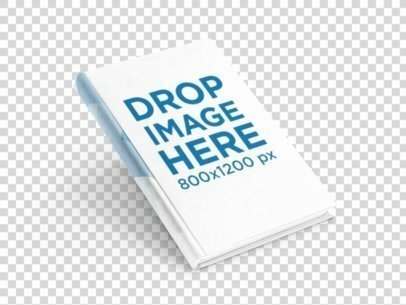 Just drag and drop your image over the placeholder to see your final asset, our book cover maker can create hundreds of mockups in just seconds. 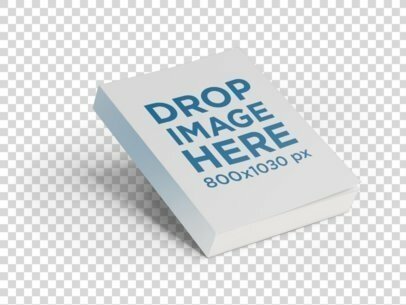 Don't worry about Photoshop anymore when you have this handy mockup tool for all your advertising campaigns! To see another Book Mockup click here! Take a look at this fantastic print mockup of a paperback book floating in angled position over a transparent background, pretty cool right? Take your Kindle cover design over the placeholder to create your own mockup with our easy to use mockup generator, you'll have a download ready in just seconds. You can find more mockup templates in our collection of different scenario mockups! To see another Book Mockup click here! 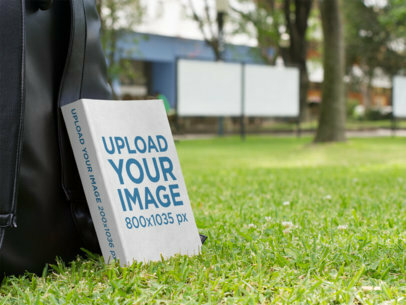 Promote your latest book in an eye-catching way without having to spend lots of money by making Placeit's 3D book cover maker the latest addition to your marketing tools today and appeal to your prospective clients in no time! To see more Print Mockups click here! 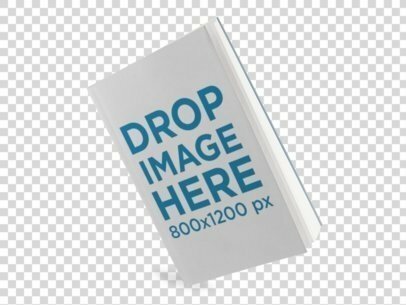 Show off your new artwork for a book cover with this floating paperback book over a transparent background mockup! The details are amazing, wait and see how your clients will react when you present your title with this ebook design. 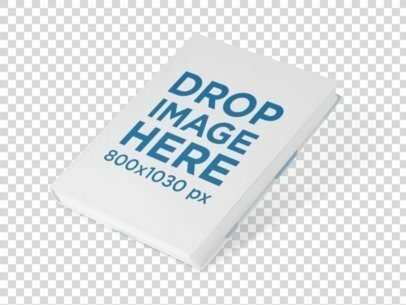 Placeit's mockup generator is so easy to use, you just have to drag and drop your image over the template and you will the final asset in no time. To see another Book Mockup click here! Let your book cover stand out with this photorealistic book mockup over a white background, it’s just the visual asset you need to captivate your consumers’ attention. 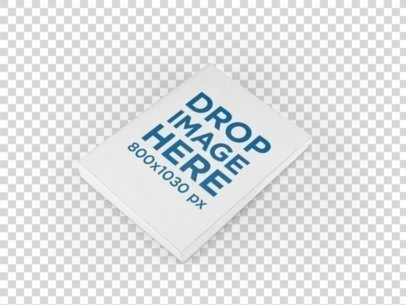 Go ahead and drop in your image over the photo template to see how great it will look! Placeit’s free book cover maker makes marketing much easier and cheaper with its collection of mockups! To see another Book Mockup click here! 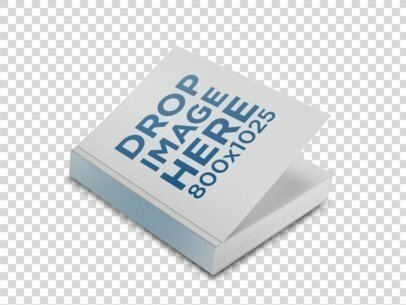 Look at this realistic book mockup featuring a book showing its cover in an angled position, your new cover will look awesome in it! Try it ou now by simply dragging and dropping in your image of choice over the placeholder, you will have your download ready in just seconds. Get more print mockups like this one with Placeit’s ebook cover generator! To see another Book Mockup click here! This hardcover e-book mockup over a solid background could be just what your new book's visual marketing campaign needs, so waste no more time and design a book cover within seconds! To see another E-Book Mockup click here!